There are a number of Cryptocurrency exchanges that offer Lisk at the time of writing, including Binance, Bittrex, and HiBTC, but with a limited number of pairings, currently LSK/BTC and LSK/ETH. there is an easy step-by-step guide for buying Lisk Coin with BTC on Binance. "How to Buy Lisk Coin in 2019"
Before buying Lisk coin, it is recommended to first set up a Lisk Nano digital wallet that can store your LSK coins after purchase. The very same wallet exchange would then be used when looking to sell Lisk coins, where the coins would be transferred from the wallet to a particular exchange for sale, or to a merchant in the event of purchase with LSK coins should merchants accept Lisk coins in the future. Please refer to ‘Create Lisk Coin Digital Wallet’ section below for the steps involved in the creation of a Lisk digital wallet. We do not recommend that you hold your purchased Lisk coins on the exchange, as wallet exchanges have faced multiple hacks that have resulted in coin holders losing their investments, in some cases the wallet exchanges unable to cover investor losses. At present, there are no Crypto exchanges that provide an LSK/ Fiat Currency pair to buying Lisk coins with fiat currencies, which leaves prospective buyers with the only option of buying either BTC or ETH and transferring the coins to exchanges that cater for LSK/BTC or LSK/ ETH trade pairs, our recommendation is to purchase LSK with Bitcoin on Binance, based on trade volumes. 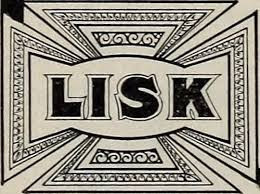 For those looking to buy Lisk coins with Altcoin, you would need to find an exchange that caters for the LSK/Altcoin pair that you are looking to buy the Lisk coins with, at present the only two pairs available being with Bitcoin BTC and Ethereum ETH. By market cap, Binance exchange has the largest share of trading volume. The LSK/BTC pair accounts for 76% of total Lisk trade volume, with Binance the leading LSK/BTC Cryoto exchange by 24-hour volume with 14.7% of trading volume. On this basis, we would recommend Binance as the exchange of choice to buy Lisk coin with the LSK/BTC pairing, the higher volumes providing the greatest LSK liquidity. Open an account on an Crypto exchange that allows buying Bitcoin (or Ethereum) with fiat currencies. Go to the Binance exchange go through the registration process. Remember that is recommended to always use strong login password and to enable the 2FA when prompted. Withdraw your acquired BTC (or ETH) from the alternative exchange selected and transfer them to the newly opened Binance. it is done by selecting the funds’ tab and selecting ‘Deposit Withdrawals’ in your Binance account. In the search box, enter ‘Bitcoin’ and select ‘Deposit.’ Copy the BTC deposit address from your newly opened Binance wallet and paste the address into the exchange from where the Bitcoins were purchased by selecting ‘Send’ option. It may take more than an hour for the transfer to be completed, depending on backlogs, but you will receive a notification once the BTC have reached your newly created account. Once the notification has been received, log into your newly opened Binance account and go to the trading platform and search for LSK/BTC (or LSK/ETH) and complete the LSK coin purchase. Once acquired, you can find your newly purchased Lisk coin in the ‘Deposits Withdrawals’ tab that can be located in the ‘Funds’ section. We recommend that you do not leave your Lisk LSK coins on the wallet exchange and transfer the coins to your recently downloaded LSK compatible wallet. Select ‘Withdrawal’, enter the required amount, including the wallet address and select ‘Submit’. The Lisk LSK coins will then transfer from your Binance wallet to your Lisk Nano digital wallet and will be stored there until you wish to sell them.